We may graduate from school, but we never stop learning. One of the most common—and detrimental—mistakes Kornell often sees is our collective tendency to equate performance with how much we are learning. "The same thing happens with learning—when it's easy, you feel like you are learning more," says Kornell. In reality, "you actually learn more when what you are struggling." According to Kornell, effective learning feels difficult. It's this ability to embrace continuous discomfort that separates ultra-high-achievers from everyone else. For most people, once they're pretty good at something—be it public speaking, writing or Excel—they become complacent and comfortable, unwilling to continue to challenge themselves. "You reach a plateau where you don’t experiment and you don't practice new techniques because you’re satisfied," he says. "The people who achieve the most in life are the ones that aren't satisfied with 8 out of 10; the people who don't stop until they are a 10 out of 10." That requires risk taking, uncertainty, repetition, the pursuit of criticism and, yes, discomfort. Learning is many things—challenging, eye-opening, exhilarating, motivating and tiresome. It should never be a cakewalk. "If you are having too easy a time, you’re doing it wrong," he says. A favorite study-technique of college students everywhere, cramming—or the last-ditch effort to memorize as much information in a condensed time frame—is effective "if you want to remember something in the very short term," says Kornell. 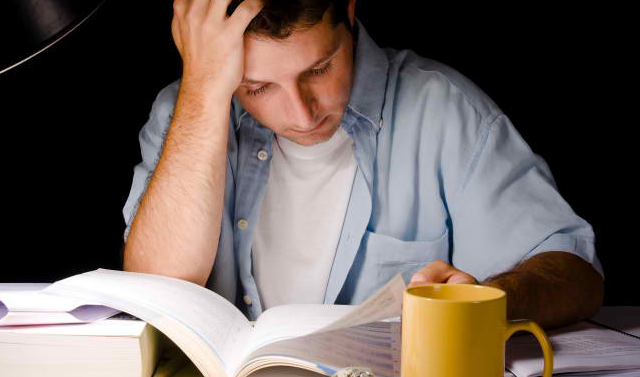 Cram before a test, and you'll likely remember much of the information when you sit down to write the exam. A year, week or even day later, however? Not so much.